Free Movies UK • View topic - Can You Ever Forgive Me? Post subject: Can You Ever Forgive Me? Saw this yesterday with free cinema vouchers and loved it. 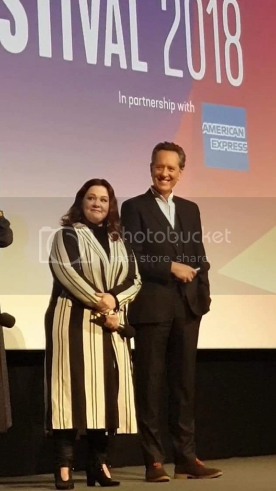 I'm not normally a fan of Melissa McCarthy in any of her clowning about roles, but she is excellent here and thoroughly deserves her Oscar nomination. She plays the acerbic alcoholic Lesbian who finds a way of making money forging celebrity letters with such aplomb, it's a delight to watch. There were several laugh out loud moments, and a gentle pisstake of the world of collectors' memorabilia. Post subject: Re: Can You Ever Forgive Me? Saw this at the Premiere at the London Film Festival 2018, through SFF.